Our Intensive Dialetical Behavioral Therapy (DBT) Substance Abuse Program includes Group Therapy four times a week. We incorporate the skills training component of DBT, relapse prevention groups, on-site AA/NA meetings, and on-site drug testing. Anger management groups focus on reducing harm, managing emotions, and developing effective coping skills. Youth use daily life situations to gain insight into developing social, life and coping skills that are taught through curriculum based groups and programming activities such as (but not limited to) bullying prevention, communication, self-respect, responsibility, creative problem solving, conflict resolution and social responsibility. 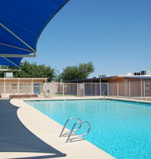 We believe that our children have a right to receive a well-rounded educational experience, and our extensive Recreational Therapy Program includes art therapy, yoga, drama, life-skills, music, dancing, team-building, off-campus activities, swimming, sports, pet assisted therapy groups and more! Our on-site accredited K-12 school provides intensive behavioral and emotional support for students in a safe environment while focusing on academics. Almost all of our students come with an Individualized Education Plan (IEP). Our staff use curriculum-based assessments to determine any additional needs and meet with the IEP team to make sure that each students all educational needs are being addressed. Our teachers are Master’s level and either K-12 cross-categorically special education or K-12 general education certified teachers. 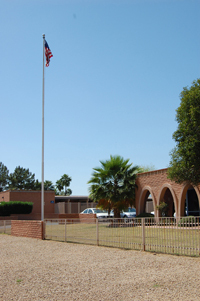 Devereux Arizona ensures our children’s physical and mental well-being by having 24-hour nursing staff and a Board Certified child and adolescent psychiatrist on-site. Devereux Arizona’s Culinary Arts Program offers children in residential treatment the opportunity to gain valuable hands-on experience for the future through an eight week culinary course. Students learn about food preparation, safety and serving skills.